Home/SEO/Does machine learning herald the death of organic search? They say that it would rather be easier for people to count the stars in the night sky rather than the total number of articles being written on the death of SEO. Due to the introduction of machine learning and the restrained space remaining for organic search, the main question is whether or not organic search is on its death spiral. The most interesting part about the question is not the answer but the process of understanding the question. With voice search and personal assistants taking over, does this herald the death of organic search? Machine learning, as it related to SEO and current device usage required Hummingbird algorithm to fulfill the entire potential. This specific algorithm created the basic foundation for the search engine giant to understand conversational speech. The truth is that machine learning will have very little to do directly but it will definitely be necessary for an SEO change to take place. In case this sounds too confusing, you will understand it shortly. AI (Artificial Intelligence) and machine learning along with the ability to interpret conversational language allows for all sorts of information to be understood, collected and presented to the user in various ways. The question we were discussing is the dramatic changes in the space which is made available to organic search results on the front page of Google. Here are few changes in the past few months. 4 Ads on top: In the year 2016, February, Google tested their move to put 4 AdWords ads on top of the search engine results for the commercial queries and this automatically pushed down the organic rankings. 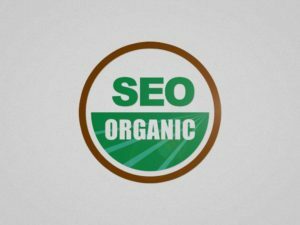 Organic rankings number drops from 10 to 8.5: As per Searchmetrics data which was released in 2016, October, the total number of conventional organic search results dropped from 10 on desktop and mobile to 8.5 on both the platforms. Local 3 pack has paid listings: Google has also included a paid result with 2 organic results in the local 3-pack. A switch was made in mobile devices in the month of August and the paid result was given at the top of the local pack in the usual results. What we need to realize is that there are major changes coming not only in the form of algorithms but also in the way people interact with their hand-held devices.